I am not much of a fish person. I eat it because I should, but it is not one of my favorite meals. But I do really love salmon. We eat it weekly at our house and I am always looking for new ways to prepare it. This honey glazed salmon with brown butter lime sauce has a combination of both sweet and sour that makes it really, really tasty. It’s a great addition to my collection of 30 minute meals. This Honey glazed Salmon with brown butter lime Sauce is super tasty. This recipe is very easy and quick to prepare but looks fancy enough for any diner party. The sweetness of the honey combines beautifully with the citrus of the lime. This recipe is done in two steps. 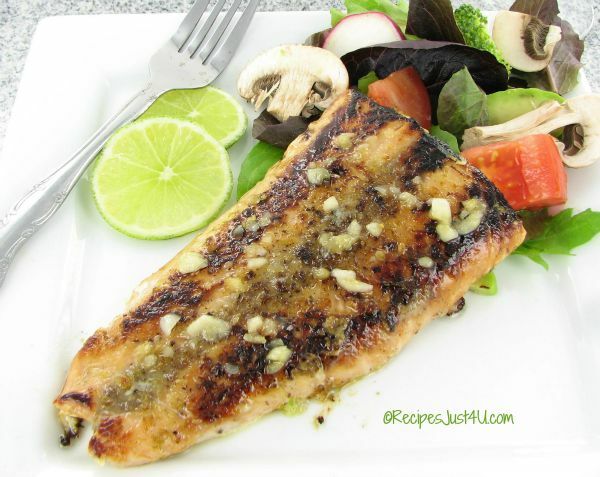 Make the brown butter sauce while you are cooking the salmon so that it is ready at the end. I used an immersion blender to combine the ingredients but it also works if you just use a whisk. I don’t mind bits of garlic in my sauce. If you do, you can blend the sauce in a normal blender. Set the sauce aside while you prepare the salmon, but whisk it occasionally so that it does not separate. Season and flour the salmon fillets, and drizzle them with the honey. 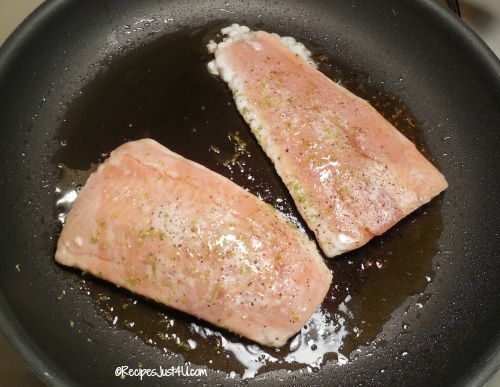 Cook in a skillet in extra virgin olive oil until the salmon is lightly browned – about 3-5 minutes per side. Once the salmon has cooked, plate it and pour over the browned butter lime sauce. Add a tossed salad and enjoy! This recipe is one of my favorite ways to cook salmon. The brown butter lime sauce is very acidic and on its own is over powering. But add it to the honey glazed salmon and it all comes together beautifully. 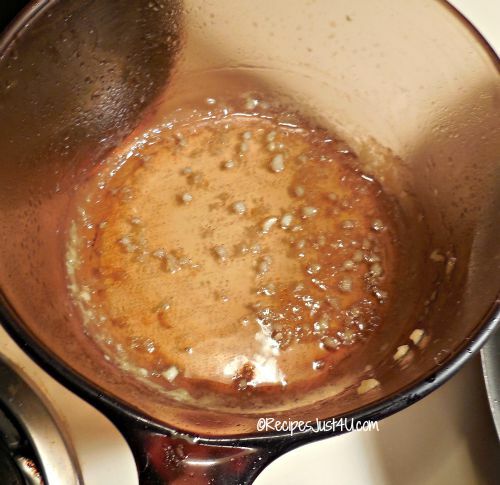 Remove the butter from the heat and the lime juice, garlic, salt and pepper to the pan.. Using an immersion blender, blend for 30 seconds to 1 minute until well blended.Set aside while you prepare the Salmon. Whisk the sauce occasionally, so that it does not separate. Place the salmon fillets on a cutting board, season with salt and pepper, and sprinkle the flour over each side of the salmon fillets and spread flour to coat them evenly. Drizzle the honey over the flour coated salmon fillets. Place the olive oil into a skillet over medium heat. When the oil is hot, place the salmon fillets in pan and cook 3-5 minutes per side until salmon has cooked through and is nicely browned. 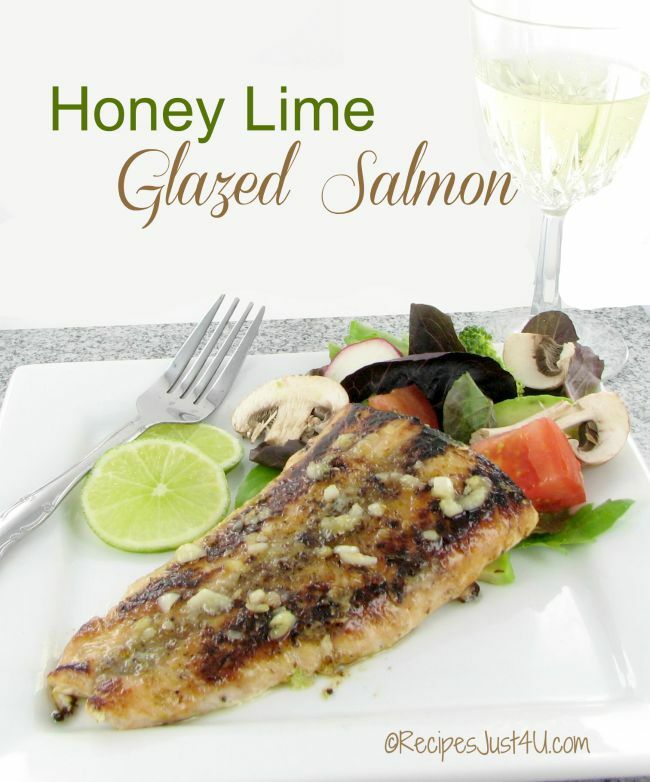 Plate the salmon immediately, drizzle with the prepared Brown Butter Lime Sauce and sprinkle with more lime zest. Serve warm.